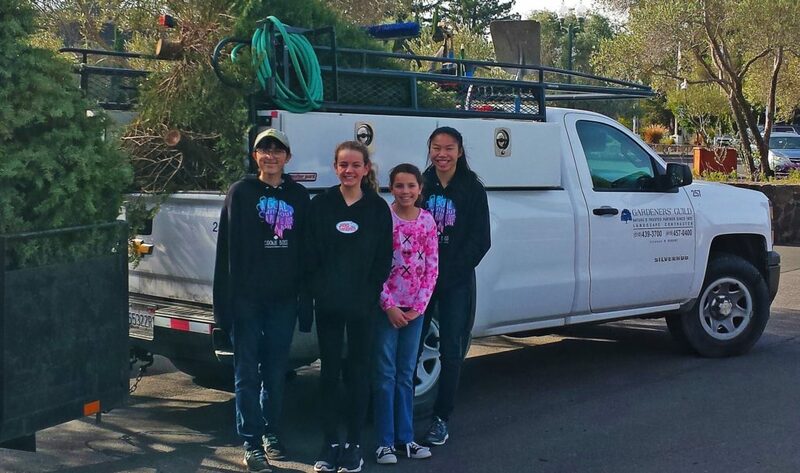 Last weekend, Robert Mercado, Manager at Gardeners’ Guild helped the Girl Scouts of Sonoma Valley pick up Christmas trees from 42 residents. The troop also collected $300 in donations. 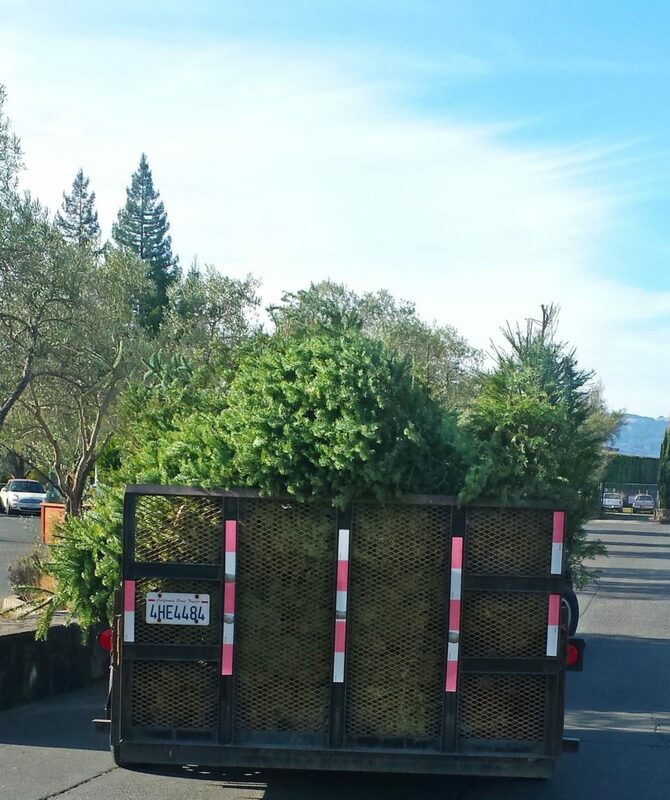 Christmas trees, (shown below) are loaded in Robert’s trailer headed for recycling. Troop #10240 brought much end-of-holiday cheer to residents glad to have one item crossed off their 2018 To Do list!